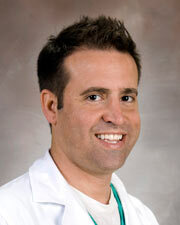 Rondel Albarado, M.D., is an assistant professor at McGovern Medical School at UTHealth. Dr. Albarado decided he wanted to become a doctor when he went on a middle school field trip to the Texas Medical Center. He had the opportunity to see Dr. Michael DeBakey in action at The Methodist Hospital.